Good morning, we have a new challenge with a difference this fortnight over at Craft Your days Away, its some thing I have never done before! The sentiment is from the Whimsy store its from the christmas digi set well worth the pennies! Coloured with Pro markers, the papers are both from freebie packs in magazines. The ribbon is from my stash the flowers are from my never ending Duck Pond Crafts Christmas Blooms Kit, and the pearls are papermania. 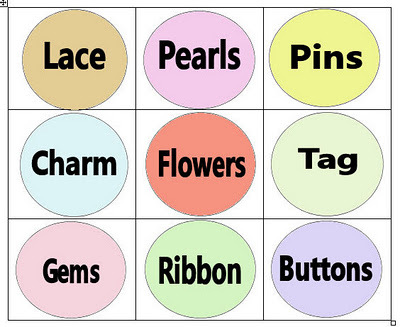 all you need to do is pick one line of three embellishments, either horizontally, vertically or diagonally. 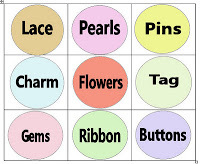 The rules are to just use the three embellishments in your chosen line on your craft project which of course dosent have to be a card it can be anything!